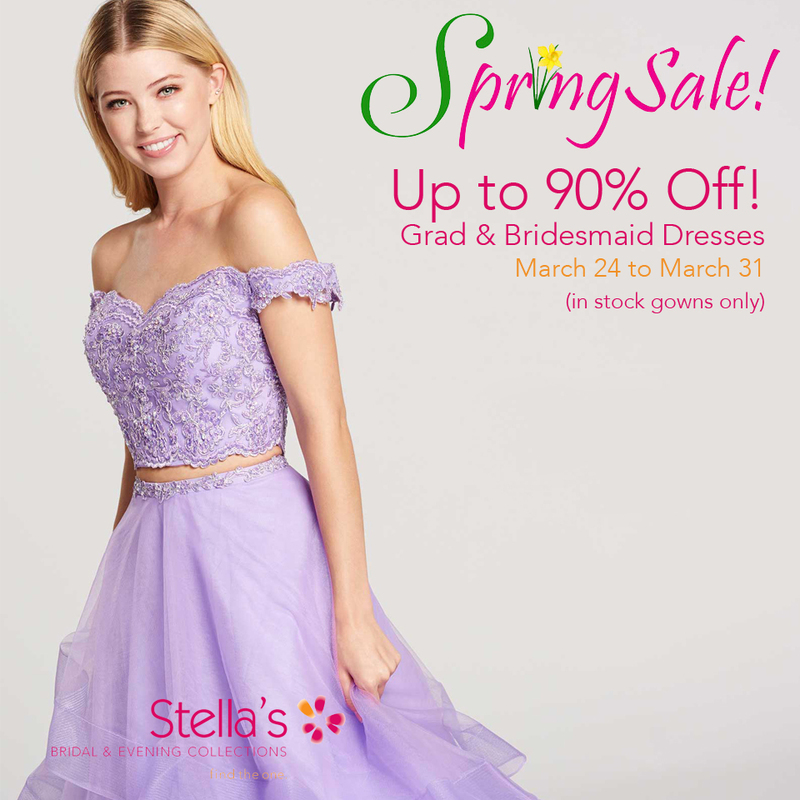 Up to 90% Off Grad & Bridesmaid Dresses! Make a Statement at Your Grad! Find the One at Stella's Bridal! Featuring dozens of Watters' newest wedding gowns, grad & bridesmaid dresses! Book your shopping appointment today to try these incredible dresses! Watters is exclusive to Stella's. Maggie Sottero & Stella York Sale! 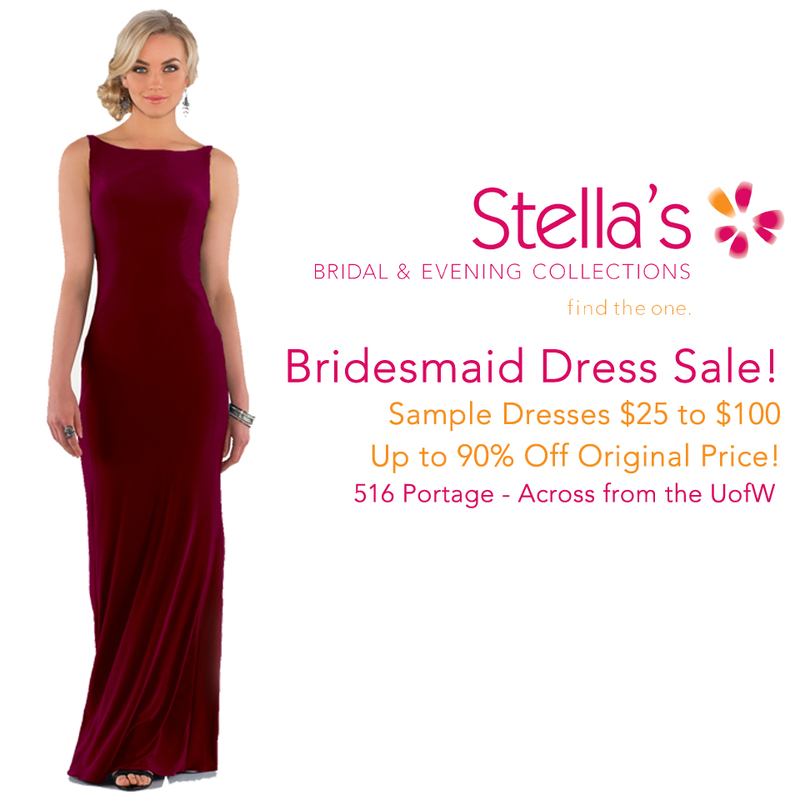 Stella's Annual Wedding Show Sale Is On Now! With over 600 dresses, in a luxurious and spacious showroom, Stella's has Winnipeg's largest selection of: Aire Barcelona, Watters, Willowby, Justin Alexander, Justin Alexander Signature, Maggie Sottero, Rebecca Ingram, Sottero and Midgley, Stella York, Watters Bridesmaids, Sorella Vita, Dessy, and Carrafina. Contact Stella's today to book your shopping appointment. Private after hours shopping appointments are also available. Stella's Aire Barcelona Trunk Show will take place January 27 to 29. Visit Stella’s at Booth 1240 of the Wonderful Wedding Show, January 21 & 22! 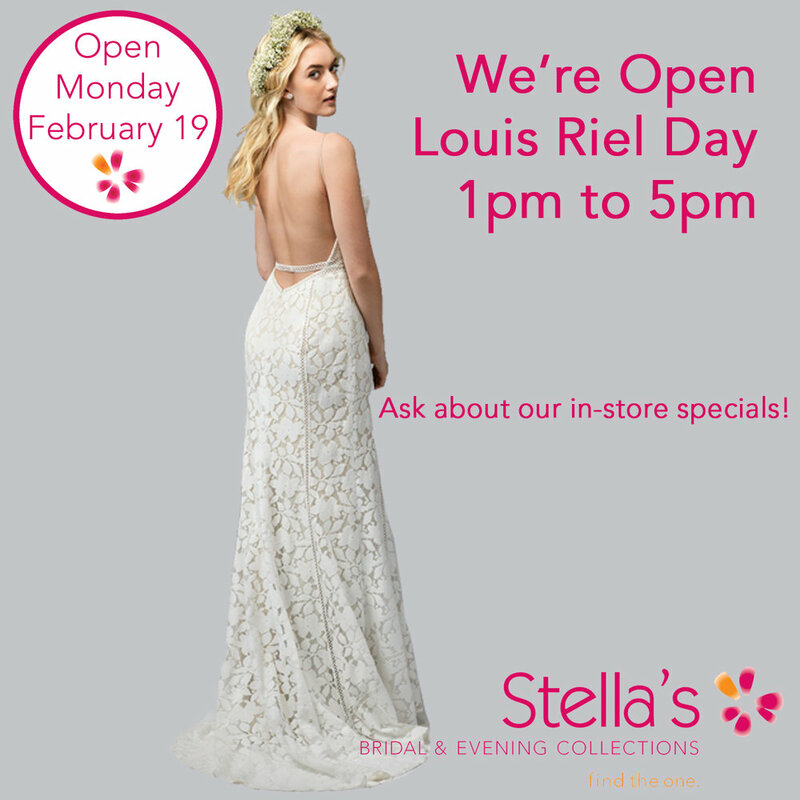 Check Out Stella’s New 2017 Gowns in the Fashion Show and Brides Lounge! Doors open at 10am Boxing Day. *Pay no taxes on all purchases! Dozens of new dresses have arrived! "Find the one" at Stella's Bridal & Evening Collections! Stella's is excited to announce our Watters Trunk Show event from Friday, December 2 to Sunday, December 4. This event will feature a special selection of world's most beautiful wedding, grad, and bridesmaid dresses. 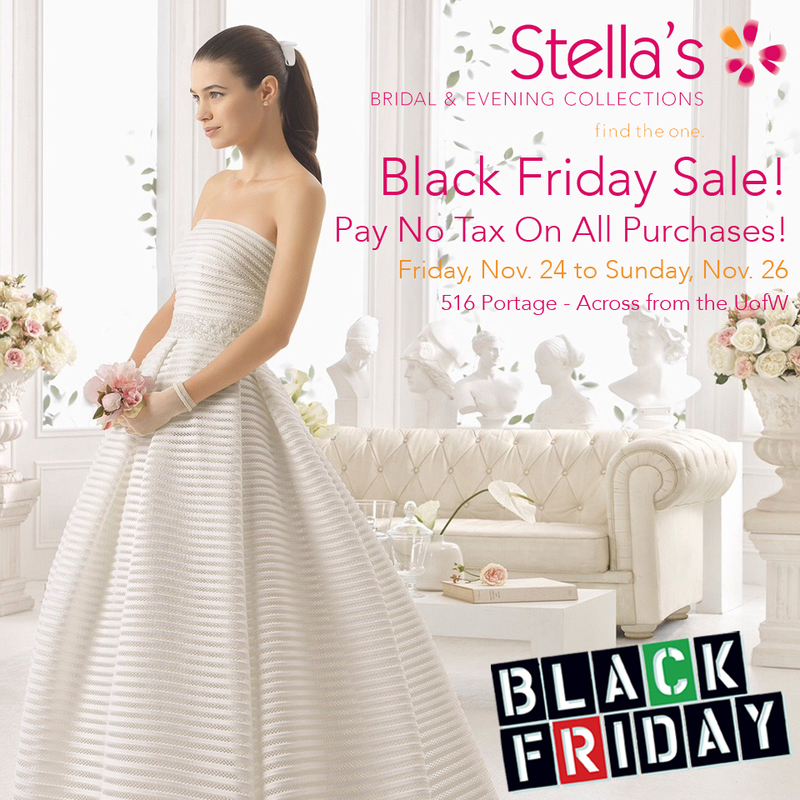 Stella's Bridal is proud to be Manitoba's exclusive Watters retailer. Schedule an appointment today, or consider booking a private, after hours party, to try on these exquisite gowns! Grad & Bridesmaid Dress Sale! Featuring dozens of new 2016 dresses. There’s still time to find your dream gown. “Find the One” at Stella’s!